The New York Autoimmune Walk was a big success for team RPASF. 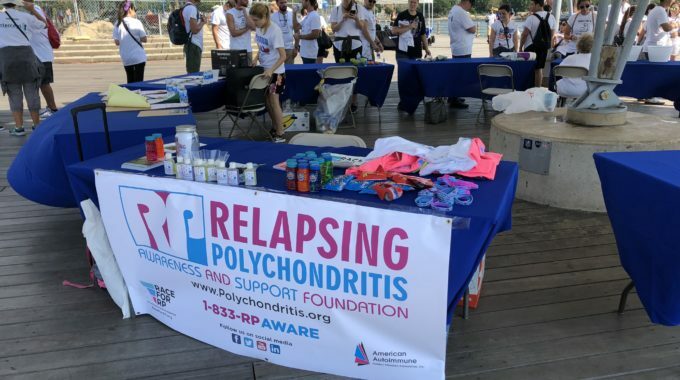 We had a wonderful time joining together with other teams and individual for a common goal to raise awareness about autoimmune diseases, relapsing polychondritis and raise funds for the advancement of research, treatment and patient care. Thank you to everyone who supported team RPASF for the New York Autoimmune Walk. We raised $1,195.00 towards the $25,062.00 total raised so far by the NY walk. It was wonderful to see all of the autoimmune warriors and their family members and friends supporting autoimmune disease awareness. A special thank you to our own Jennifer Amato and her family for leading our team this year. And a shout out to Team Patti for their incredible spirit and enthusiasm.